Massage can be therapeutic as well as relaxing, and it complements chiropractic treatment by helping relieve tension on tight tissues. At Vitality Medical Center in Tustin, California, the experienced team of massage therapists under the guidance of Dr. Laila Nayab-Murshidi, offer massage therapy to complement chiropractic adjustments and spinal decompression therapies. If you live in Orange County or the Los Angeles area, call the office or book an appointment online today to learn how you can relieve pain and experience a greater range of movement by combining massage therapy and chiropractic care. Chronic stress may cause tightness and even physical pain. Massage therapy that assists the muscles, along with chiropractic therapy that addresses the joints, helps to relieve this stress. Massage complements your healing by stretching and relaxing muscles irritated by postural issues, degeneration, pain, and dysfunction. 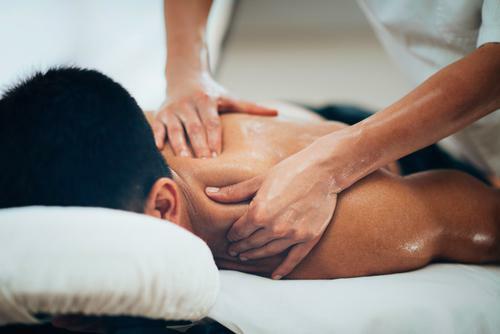 Massage can also be helpful if you’ve experienced trauma, such as in an automobile accident. It stimulates your immune system and circulation to speed healing and soothe sore soft tissue. Combined with chiropractic care at Vitality Medical Center, massage may help alleviate chronic headache pain. Massage therapy increases blood flow to the brain and relieves tension, which contributes to headaches, while chiropractic care can restore misaligned vertebrae to relieve nerve and muscle compression. How does massage benefit chiropractic adjustments? Soft tissue issues, such as tight or weak muscles and ligaments, compound spinal problems, making healing difficult even if you’re getting regular chiropractic care. Massage can relieve these soft tissue problems, assisting in pain relief. When given before a chiropractic adjustment, massage therapy enhances the effectiveness of the spinal manipulations. Oftentimes, issues in your spine lead you to carry your body in ways that tighten muscles and compromise your range of motion. Massage helps loosen these tight muscles so your body is less likely to resist the chiropractic adjustments and better benefits from them. A relaxed body better receives chiropractic adjustments, and, as a result, your body is able to heal faster and more effectively. What types of massage are available? Your massage therapist may offer a combination of these therapies to relieve your pain and improve your range of motion. 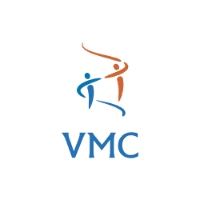 The massage therapists and chiropractors at Vitality Medical Center work together to create an optimal treatment plan for you. For more information about the massage therapy offered at Vitality Medical Center, call the office in Tustin, California, or book an appointment online today.